Partner Marcela Mattiuzzo speaks today, April 8, 2019, at a roundtable organized by the Brazilian Institute of Public Law (IDP) and the Centre for Information Policy Leadership (CIPL) in Brasília. 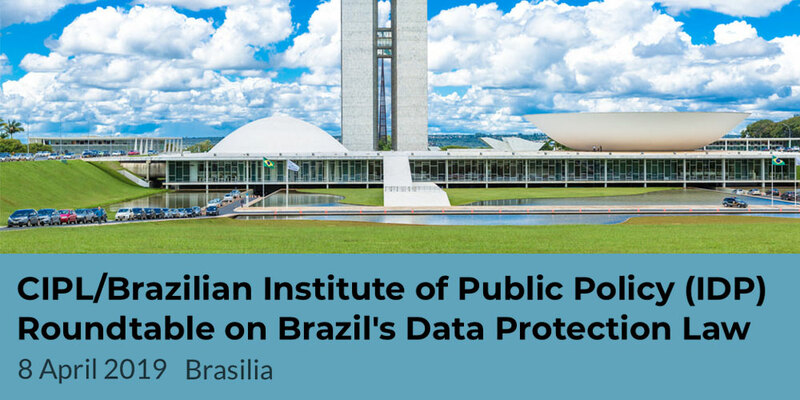 During the debates, experts will engage in an open discussion on key issues surrounding data protection developments in Brazil from Brazil’s new data protection law (LGPD) to the establishment of Brazil’s national data protection authority (“ANDP”). Participants will share views and strategies on the road ahead for organizations conducting business in Brazil as well as regulators. Speakers and panelists include industry and government representatives, lawyers, academics, and members of the civil society, such as Nathalie Gazzaneo (Facebook), Daniel Arbix (Google), Miriam Wimmer (Ministry of Science, Technology, Innovation and Communications – MCTIC), Min. Ricardo Cueva (Superior Court of Justice – STJ), Damien Kieran (Twitter), Marília Monteiro (Nubank), Dennys Antonialli (InternetLab) and Sophia Vial (PROCONS Brasil). Marcela will be a panelist at the roundtable 2, which will focus on regulatory challenges and will debate which aspects of the LGPD require further clarification and implementation guidance for industry, how to minimize and address potential conflict in the enforcement level between other regulators, consumer offices and the public prosecutor, and what are the specific regulatory challenges for international data transfers.